I was recently called a hypocrite. I was talking to a friend and, as is my wont, I was complaining about another person who failed to respond to an email I had sent them a few days previously. My friend pointed out that I was in no position to make this complaint: I am a notorious non-responder to emails. I frequently procrastinate and dilly-dally in my correspondence with others. I often wait until the last possible minute to reply, or until I have received several follow-ups begging me for a response. The accusation stung but my friend had a point. My complaint was pretty rich when you consider my own behaviour. But my instant reaction was not to accept what they had said but, rather, to make excuses. I argued that my friend didn’t understand why I was so bad at responding to emails. It wasn’t a moral failing, I told them, it was an illness. I have a chronic fear of making decisions (which is often required in responding to emails). I always worry that I will do or say the wrong thing. So I like to postpone making them for as long as possible. I get trapped in spirals of anxiety that can only be disrupted by last minute panic or repeated entreaties from others. I told them they should pity me, not condemn me. It all sounds silly now. And although this particular accusation of hypocrisy wasn’t that serious, it did urge me to reflect on others ways in which I may be hypocritical. It’s something I was thinking about anyway, particularly in the aftermath of my sister’s death. As I noted in my previous writings about grief, I felt a lot of guilt after she died. I wasn’t the perfect brother by any stretch of the imagination. I frequently ignored her when she tried to make contact with me. And I didn’t appreciate (or tell her that I appreciated) all the generous things she did for me over the years. Her death eliminated any possibility of righting those past wrongs to her, but I did resolve to try to change my behaviour toward my surviving friends and family. I told myself I would be more appreciative of the time that I have left with them; that I wouldn’t be so quick to ignore them or procrastinate in my responses to them; that I would be less selfish and self-centred. Several months later and, I regret to say, nothing has changed. I still think I should be more appreciative and communicative, but (deep down) I prefer to do my own thing and to pursue my own goals. Some people might argue that I am just being weak-willed, i.e. that I am failing to live up to my ideals due to short-term temptations or bad habits. But I think it is different. I think I might be deeply hypocritical about my personal values. All of which has driven me to read the philosophical literature on hypocrisy in order to figure out how serious a moral failing it is, to determine whether I am in fact a hypocrite, and to figure out what I should do about it. I want to share some of my findings over the remainder of this post. I’ll start with the common view of hypocrisy as a moral failing and then work towards a more sympathetic view of hypocrisy as self-deception. I’ll conclude with a discussion of moral integrity. I’ll be peppering all of this with repeated self-assessments. You may find this nauseatingly self-indulgent, but I hope it resonates for some people. I think most people would call this preacher a hypocrite. But what is it about the preacher’s behaviour that warrants this label? Well, one obvious feature is his deception: he has been living a lie. He has professed and preached one kind of behaviour, but lived and done the opposite. The mismatch between his professions and actions seems to be one of the hallmarks of hypocrisy. But it’s not just that. Deception, as McKinnon points out, might be a necessary condition for hypocrisy, but it’s not sufficient. People lie and dissemble all the time, but we don’t call them hypocrites for doing so. There needs to be something else. That something else is a complex intention or desire to use the deception to gain some moral advantage or reputation within a particular community. Again, look to what the preacher is doing. He isn’t just living a lie. He is actively preaching the contrary in order to attain the respect and status of the community of devout Christians in which he operates. He knows that they see him as an authority figure and will respond positively to his message. He uses this to his advantage. The complex intention consists in both an awareness of the community’s moral standards and how to manipulate them to one’s own advantage. (b) The person knows that they are manipulating the judgments of their audience. On this account, it’s easy to see why hypocrisy is taken to be such a serious moral failing. The hypocrite, according to McKinnon, is not simply being inconsistent in their behaviour, they are subverting the system of social morality. Since social morality relies, to a large extent, on the good faith of all participants, hypocrites are a major problem because of their bad faith. They are not committed to genuine moral improvement or conformity. They are free riders on the system of social morality. In this sense, they are very different from the person of integrity (about whom there will be more discussion below). The person of integrity acts in good faith and tries to ensure coherence between their motives and actions. They may get it wrong, but at least they do not subvert the presumption of good faith by their efforts. McKinnon is at pains to distinguish hypocrisy from other, closely-related phenomena. She says that hypocrisy is distinct from politeness. It may be possible to confuse the two. If you are at a dinner party and the host asks you whether or not you liked the meal, you might say that ‘it was lovely’ even though you thought it tasted like something scraped off the bottom of a well-worn shoe. The difference is that politeness is motivated by respect for the other person. You are trying to protect their feelings, not gain an advantage over them. That said, the distinction can be subtle and sometimes you may wonder whether what seems initially like politeness is, in fact, hypocrisy. You may even wonder this about your own behaviour. In a similar vein, McKinnon argues that hypocrisy is not the same as self-deception (i.e. some compartmentalisation or sincere belief that one is consistent in one’s motives and behaviours). Indeed, she argues that the true or ‘professional’ hypocrite operates in the complete absence of self-deception: they know what their true motives are at all times. Still, she acknowledges that there might be a tendency for someone who starts out as a pure hypocrite to gradually descend into self-deception, but she thinks it is important to keep hypocrisy and self-deception conceptually distinct. More on this in a moment. Finally, McKinnon also argues that hypocrisy may, on some occasions, be morally permissible. If the hypocrite is someone who manipulates social perceptions to gain an advantage within a given moral community, the morality of their behaviour must be judged relative to the standards of that community. If the community’s standards are themselves immoral, and if there is great risk to the individual if they don’t manipulate other people’s judgments of them (or if they can do more good by manipulating those judgments), then it is possible that their hypocrisy is permissible. Still, McKinnon is cautious about this assessment, and suggests that such people might be viewed as cowards for their hypocrisy. It would then depend on the particular case whether that cowardliness was morally blameworthy (she gives the example of someone living in Nazi Germany who goes along to get along). McKinnon’s view is attractive and conceptually pure. The problem with it is that it is almost too harsh on the hypocrite. For her, a hypocrite is like a cartoon villain, a uniquely self-centred and manipulative abuser of social norms. We might wonder whether any such villains exist in the real world. If I were to assess my own behaviour and attitudes using her framework, I would be very reluctant to call myself a hypocrite. I don’t think I am self-consciously and deceptively manipulating other people’s judgments through what I say or do. Maybe there is a little bit of that going on. You could argue that writing a blog post like this (or the series that I wrote shortly after my sister died) is a kind of virtue signalling. You could argue that in writing I am trying to make out that I am a better person than I really am. I’m playing the part of someone who publicly self-flagellates themselves in order to convince you of my moral seriousness when, behind the scenes, I’m pretty self-centred and unrepentant. But it doesn’t feel that way from the inside. It feels like a genuine inner torment — a war between different values — one that I resolve and rationalise in a way that makes me feel comfortable (and involves the least change). Although I am attracted to this view, Statman points out that it is a tough sell. On face value, hypocrisy and self-deception look to be very different. 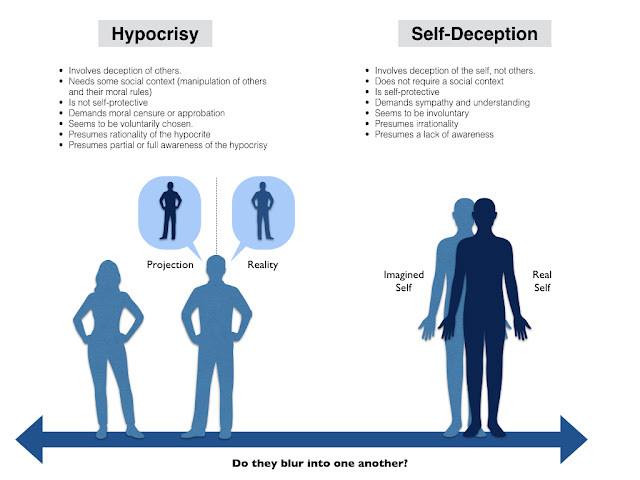 Consider some of the obvious differences: hypocrisy involves deception of others, whereas self-deception involves deception of the self; hypocrisy requires an audience and social context, whereas self-deception can happen in private; hypocrisy is voluntary whereas self deception is involuntary; and so on. The image below outlines further discrepancies between the two phenomena. When you consider them all, you’d be hard pressed to say that hypocrisy and self-deception are similar. They seem more like direct contradictions (or complements) to one another. But if you scratch beneath the surface, you get a different impression. Self-deception is more like hypocrisy than we initially think. For starters, self-deception is partly voluntary, or at least sustained by voluntary acts. To be self-deceived over the long term requires the avoidance or suppression of evidence that contradicts the narrative you tell yourself. In my case, I like to think that I am a generous person, who respects and values my family and friends, but to sustain that self image I have to overlook my tendency to ignore phone calls and emails from those people, and to spend most of my time by myself doing what I most prefer. Furthermore, self-deception is also partly social. Other people support you in your self-interpretation or give you a free pass on the behaviour that contradicts that interpretation. I know this happens to me all the time: people forgive me for my self-centred conduct and tell me that I’m more generous than I know myself to be. All this makes the slide from self-deception to outright hypocrisy much easier than it seems. Similarly, hypocrisy is much more like self-deception than we initially think. It’s very hard to consistently maintain the pretence demanded by outright hypocrisy. It’s much easier if we believe our own lies. If I want others to think of me as a generous, family-focused guy, and I want the reputation that entails, it’s much easier if I genuinely believe that to be true. It reduces the cognitive dissonance and enables better self-regulation. We can compartmentalise and sincerely believe the signals we send to others. Statman cites some empirical evidence for this, describing several psychological experiments which support the notion that liars tend to believe their own lies (and do better as a result). You might accept all this and still insist that hypocrisy and self-deception are conceptually distinct. In other words, you might accept that self-deception can morph into hypocrisy and vice versa, but they are still very different things and it is important to maintain the conceptual barrier. Against this, Statman argues that maintaining the barrier wouldn’t be true to real life or to how we deploy the concept of hypocrisy in everyday speech. As you might imagine, I am quite sympathetic to Statman’s account, partly because it allows me to interpret my own behaviour in a more sympathetic light. Maybe I am not the villain that others make me out to be? Maybe I am a victim of my own self-deception? Maybe I live most of my life in a delusory state, deceiving myself and others, but then occasionally chance upon windows of awareness where I realise what I am doing. My conversation with my friend about the emails, or my self-reflection about whether I have reformed my character after my sister’s death being two obvious examples of this. I guess the question then becomes: what do I do with those moments of self-awareness? Up to this point, I have been trying to diagnose and classify my personal failings. Am I a hypocrite or self-deceived? Am I a villain or victim? The upshot of the preceding analysis is that I could be a bit of both. In a sense though, it doesn’t matter. At root, the problem is the same: there is an inconsistency in both my behaviour and my values (professed or otherwise), and this inconsistency is more than a simple case of being weak-willed. The challenge is to resolve this inconsistency. How might this be done? The ideal of integrity points the way. I briefly alluded to this earlier on when discussing McKinnon’s view. I noted that she sees integrity as the direct opposite of hypocrisy. The person of integrity does not live the double life of the hypocrite. They try to achieve balance and harmony across all domains of their lives. And while it may not be possible for us to achieve perfect integrity, it is at least an ideal toward which we should aspire. That is certainly what Alfred Archer argues in his article ‘Integrity and the Value of an Integrated Self’. The article serves a dual function. The first is to explain the practical nature of integrity; the second is to make the case for integrity as an ideal. The analysis is rich and rewarding. If you have the time, I recommend reading it. I’ll just summarise the gist of it for now. 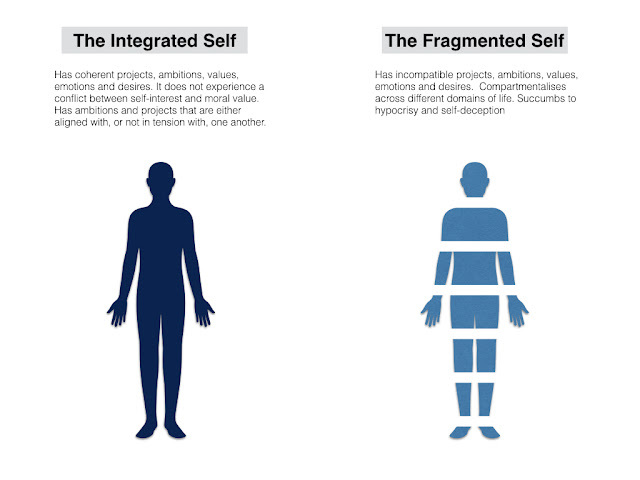 Archer’s explication of integrity contrasts the ‘Integrated Self’ with the ‘Fragmented Self’. 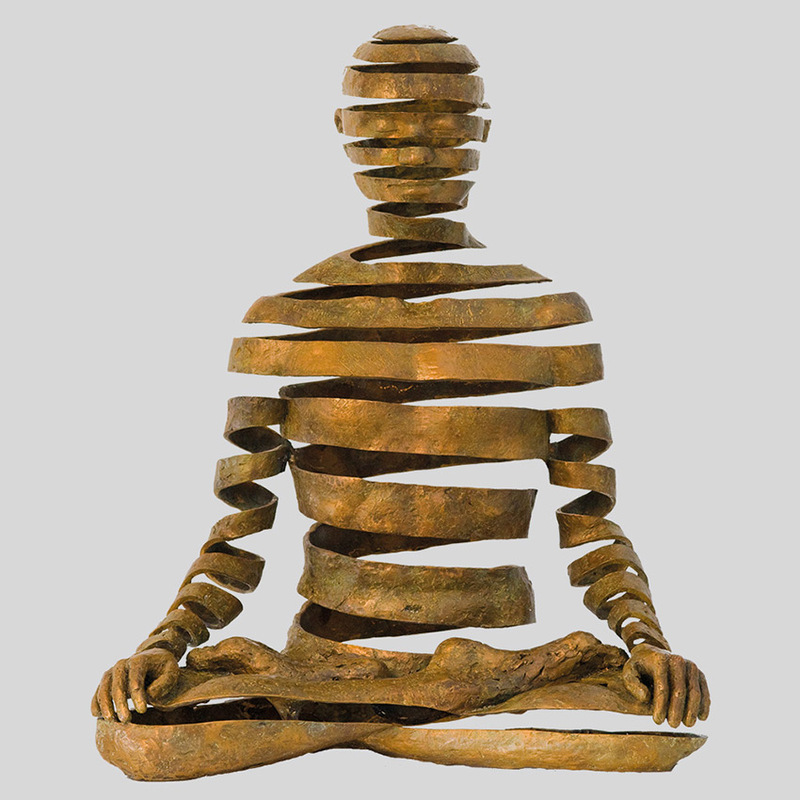 The integrated self has coherence and wholeness to its ‘projects, ambitions, values, emotions and desires’. It does not experience a conflict between self-interest and moral value. Furthermore, the integrated self’s personal ambitions are either aligned with, or not in tension with, one another. This doesn’t mean that the integrated self is narrow-minded and only interested in one thing, but it does mean that there is harmony among its different pursuits. This is to be contrasted with the experiences of the fragmented self, who pursues incompatible projects, engages in compartmentalisation between different domains of life, and succumbs to hypocrisy and self-deception. To live as a fragmented self is to live life on the edge of emotional breakdown. Archer illustrates this distinction with two literary examples, both of whom are fictional doctors. The first is John Sassall, a country doctor in John Berger’s novel A Fortunate Man. Sassall is an integrated self. He ‘cures others to cure himself’. His professional life is in harmony with his private values. But this wasn’t always true. 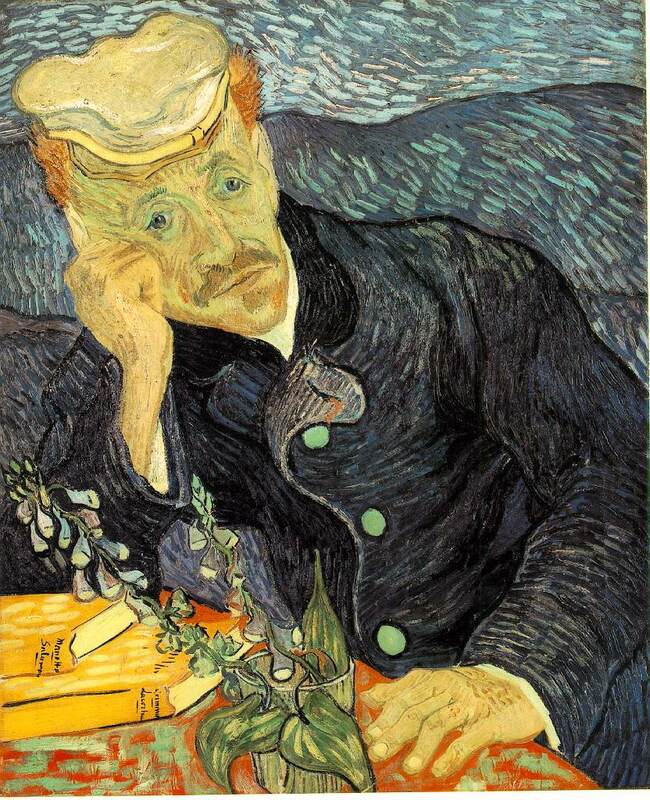 He once experienced tensions in his life due to overwork and ambition. He wanted to live a life of service but thought that this meant making the biggest difference to his patients. In believing this he prevented himself from truly serving his community, being dismissive of cases that weren’t serious enough to warrant his attention. He realised that he needed to reinterpret the ideal of service to bring it into line with what was both possible and necessary for him at his station in life. The second example is Tertius Lydgate from George Eliot’s great novel Middlemarch. Lydgate is a fragmented self. He has multiple conflicting ideals and dispositions. He wants to serve his community and to make important medical breakthroughs, but he is also something of a snob who needs to ingratiate himself with the influential and wealthy members of his community. This combination proves to be a recipe for disaster. He allows his need for wealthy benefactors to fund his scientific projects to cloud his medical judgment. This duplicitousness takes its toll. He has the outward trappings of success, but, as Eliot herself puts it, ‘always regarded himself as a failure’. From these examples, we can get a pretty good handle on Archer’s account of integrity. But what about the value of integrity? Why is it important to aspire toward an integrated self? Archer’s argument is a modest one. There is no guarantee of value. He admits that it is possible to be an integrated moral monster, i.e. to have immoral ambitions, desires and projects that are perfectly coherent and balanced. He just thinks this is unlikely in practice (and indeed points to empirical research suggesting that moral exemplars are more likely to be well-integrated). The reason for this is the tension between self-interest and moral value. This is one of the main causes of individual moral failure. We all want to ‘succeed’, to get ahead in life, to acquire a reputation and social status; we also all have moral values, many of which tend to put a premium on kindness and generosity to others, selflessness and service to one’s community. If we pick the wrong ambitions, or the wrong values, there’s a danger of fragmentation. We get pulled in different directions, occasionally heeding the siren song of self-interest, and occasionally yielding to the nagging voice of conscience. This certainly rings true for me. I think my problem — my feeling of inner hypocrisy — stems from a conflict between my ambitions and my values. I have chosen the life of an academic. That life rewards certain kinds of behaviours: publishing peer-reviewed papers, teaching classes, winning research grants, and gaining the respect of one’s peers. These are the status markers and indicators of success. I’m drawn to them because they let me know whether or not I’m winning the game I’ve chosen to play. I’m also drawn to them because I find some of them to be quite enjoyable (particularly writing and research). But I feel guilty about this because I think they contradict or undermine many of my moral values. I have said this before, in other ways, but I don’t think the work I do is of great social value. I’m not sure the world needs another paper about the ethics of AI, or, even if it did, that the paper I write will be a major contribution to knowledge or policy. I’m just one replaceable voice in the wilderness. I also have considerable doubts about the value of teaching and its practical impact. It might make some difference to some students but I suspect this is the exception rather than the rule. As a result, I feel that the pursuit of professional ambition draws me away from what things that really matters. I don’t doubt that these feelings are common, and I’m sure other people experience greater tension between success at work and moral value. Nevertheless, I think this tension is clearly at the root of my psychological malaise in the aftermath of my sister’s death. Her death crystallised, in a particularly extreme and painful way, the tension I had long suspected was there. Until that moment, I could ignore it and deceive myself into thinking that I was living a coherent and integrated life, that my personal ambitions were consistent with my moral aspirations. After that moment, the deception was not sustainable. The wool was lifted from my eyes; the emperor of my ego was revealed to be a naked fraud. I realised (and wrote about) it at the time, and that is why it is so frustrating to think that nothing has changed since then. I have just lapsed back into the same old patterns once more. I’ll need to resolve this tension lest I end up like Tertius Lydgate. But this will be difficult to do. I have three main options. Either (a) I allow my current professional ambitions to take priority and use them to reform/reinterpret my moral values; (b) I allow my values to take priority and use them to reform/reinterpret my professional ambitions; or (c) I reform/reinterpret both. The first is the path of least resistance; the second would require a significant overhaul of my current priorities and habits; and the third is just difficult for me to assess at this juncture because its consequences are so unclear. I think I am going to have to end this self-assessment here. If you have made it this far, I commend you. I have certainly benefitted from writing all this. I’ve learned something about the concepts of hypocrisy, self-deception and integrity, and I’ve used this to bring clarity and insight to my own life. The writing has been cathartic and therapeutic, even if it is only just a beginning. I hope you have got something out of it too. Think about yourself in 20 years time for a moment. Imagine the person you might become. How do you feel about this person? Do you feel some important, intimate connection with them? Do you think you have a right to prioritise the life of ‘future-you’ over and above that of other people that are alive today? Does the person who lives 20 yards across the street warrant as much concern as yourself in 20 years time? 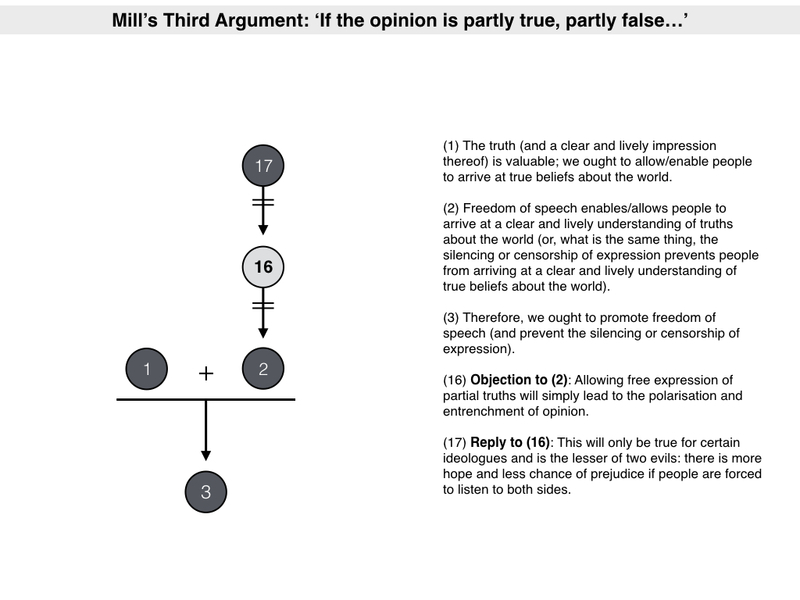 Figuring out the answer to questions like this is central to the task of moral philosophy. Most people think that each individual is a separate person (i.e. you-in-20-years is very different from the stranger living 20 yards down the street) and that this ‘separateness of persons’ is an important moral fact. This was first explicitly mentioned by John Rawls in his classic work A Theory of Justice, though the concept has much deeper roots. 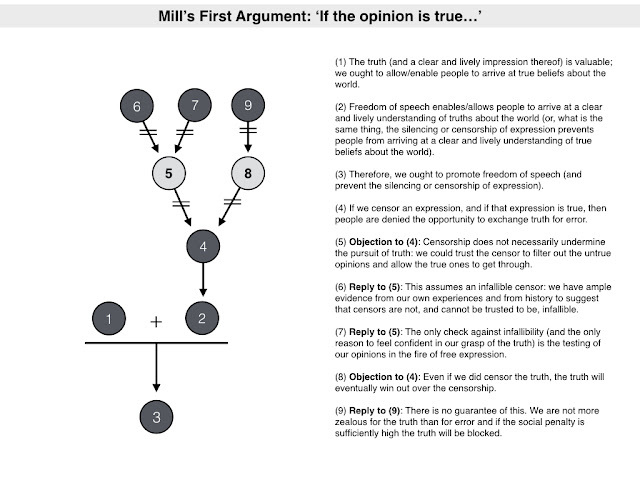 In essence, the idea is this: the fact that I am a distinct person from you and you from me, coupled with the fact that I have a unique, asymmetrical relationship with future versions of myself (and you with future versions of yourself) means that each individual is a special, separate unit of moral concern. We must respect individuals as ends in themselves and not use them as means to more desirable ends. This counts against utilitarian/consequentialist moral philosophies and in favour of deontological theories. There is, however, a dedicated opposition to this view. Derek Parfit, for example, has famously argued that the separateness of persons is a ‘shallow fact’ about human beings, not a ‘deep fact’. The distinction we draw between you-in-20-years and the stranger down the street is more an arbitrary matter of convention, than a deep truth about who you are. After all, you-in-20-years could have a very different personality and set of beliefs and values. He or she could be much more like the stranger down the street than you currently believe. Why give them more consideration than they deserve? Parfit’s view lends itself to a more utilitarian/consequentialist moral philosophy. Everyone’s life counts as equal in the great felicific calculus. In his 2009 paper, ‘Natural Separateness’, Tim Christie offers an interesting critique of Parfit’s view. 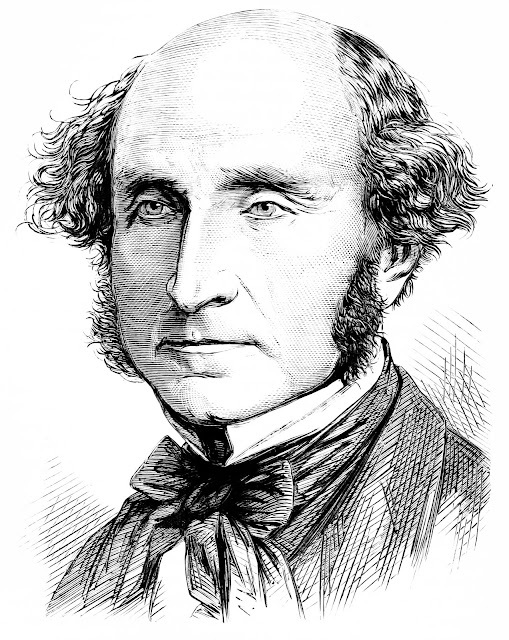 He argues that even if Parfit is right that the separateness of persons is a shallow fact, it does not follow that it does not warrant special weight in our moral theories. On the contrary, a fact can be shallow and still warrant great weight. Christie also goes further and argues that if anyone wants to construct a moral theory that is fit for human beings, then they better respect the separateness of persons. To do otherwise, would be to construct a moral theory that is only fit for hypothetical, non-human beings. In the course of making this argument, Christie makes a number of interesting claims about moral theories in hypothethical alien societies. I want to look at his arguments in the remainder of this post. Deep Facts: Facts that are part of the metaphysical/physical fundament, i.e. that are not human creations and do not depend on us for their existence. Shallow Facts: Facts that are not part of the metaphysical/physical fundament, i.e. facts that arise from social convention and practice, and that do depend on us for their existence. Take a simple example: the borders that exist between different countries. These are shallow facts. They really do exist and they have considerable practical and political importance, but they are the result of social convention and habit (albeit convention and habit that can have centuries of institutional inertia behind it). The borders are not deep facts about the world in which we live. In this sense they differ from geographical landmarks like rivers and mountains which, although subject to some human control and interference, and capable of changing over time, are pre-existent and not dependent on social convention. One of Parfit’s motivating principles is that when we construct a moral theory, we should give deep facts pride of place. This gets interesting when he turns his attention to individual identity and the separateness of persons. As noted above, Parfit thinks that personal identity is a shallow fact, not a deep fact. The boundaries we draw between ourselves and others are more like the borders between different countries than geographical landmarks. There are two reasons for this. The first is that Parfit is a reductionist about personal identity. He does not believe in the existence of a separate metaphysical soul or person. He thinks that all claims about continuing personal identity are ultimately reducible to biological and psychological facts. In particular, he thinks that psychological facts are what matter to claims of continuing personal identity: if you-right-now share a sufficient number of overlapping psychological states (e.g. memories) with you-in-20-years-time, then you are the same person. If not, then you may really be different people. The fact that we still might think of you as the same person is purely conventional. This then brings us to Parfit’s second reason for favouring a ‘shallow’ view of personal identity. Through a series of ingenious and amusing thought experiments — many of them involving brain transplants and teleportation devices — Parfit thinks we can begin to see the arbitrariness of the conventional boundaries we draw between different selves. I won’t go through these thought experiments here, but you can easily find them online and they are worth reading. They suggest that, in at least some extreme cases, what we think of as a single continuing identity is anything but: it is possible for a single identity to ‘fission’ into two or more identities and for more than two identities to occupy the same body. 2. So what if Identity is Shallow? Tim Christie thinks that Parfit is wrong. He thinks that Parfit overstates the arbitrariness of identity and that even if the separateness of persons is not a deep metaphysical fact, it is still a fact that we ought to respect in our moral reasoning. In making this case, Christie draws inspiration from the work of Christine Korsgaard and Mark Johnston. 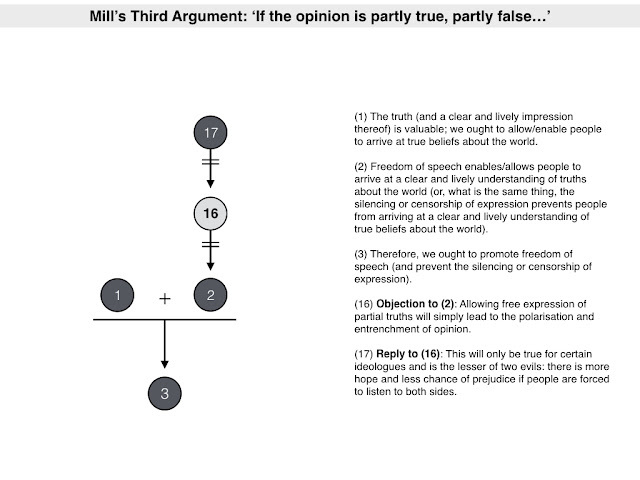 Korsgaard accepts Parfit’s main point. She agrees that personal identity is not a deep fact. She thinks of it, instead, as practically necessary fact. As biological beings we are tied to the fate of one biological body (at least until we invent the fanciful mind-uploading and teleportation devices that Parfit imagines) and when occupying that body we have to adopt a deliberative standpoint, i.e. we must act as a single rational agent that reasons and acts over time, with the interests of this biological body in mind. So even if Parfit is right that the shallowness of identity emerges in certain extreme cases, there is no easy way to escape the practical necessity of viewing oneself as a single continuing identity. Johnston makes a similar point, highlighting the biological underpinning of the separateness of persons and pointing out that this underpinning is what supports many of our conventional ‘person practices’ (i.e. our practices of viewing and treating each other as separate persons). Johnston doesn’t think that this biological underpinning is our moral destiny, but it does provide a non-arbitrary underpinning to our day-to-day morality. Christie runs with this critique. He challenges Parfit for his overreliance on fanciful thought experiments. 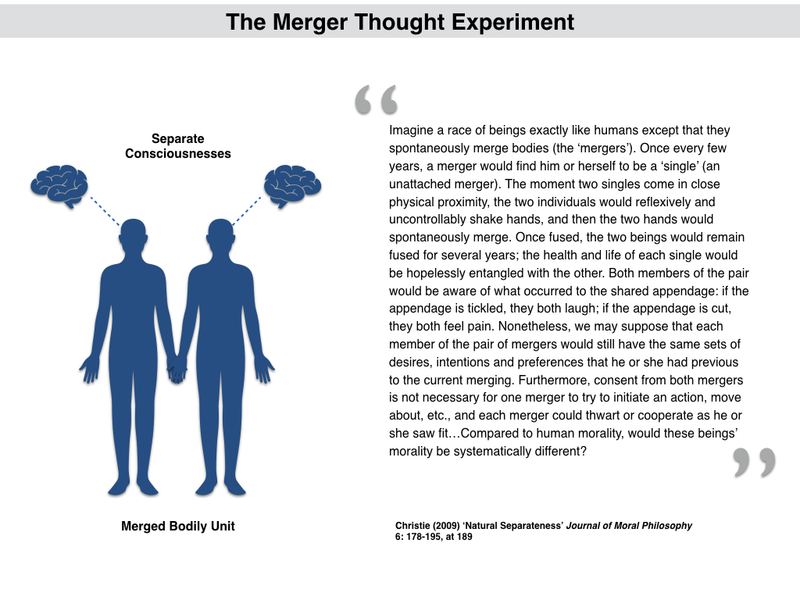 While these thought experiments may provide some reason for us to revise our commitment to the separateness of persons in extreme cases, it does not follow that we ought to revise our commitment in non-extreme cases. Parfit commits the original sin of many analytic moral philosophers. He thinks that one logically consistent counterexample to a moral theory — no matter how distant from our current reality — is enough the undermine the entire moral theory. Sometimes counterexamples have that effect, but not always and not necessarily. 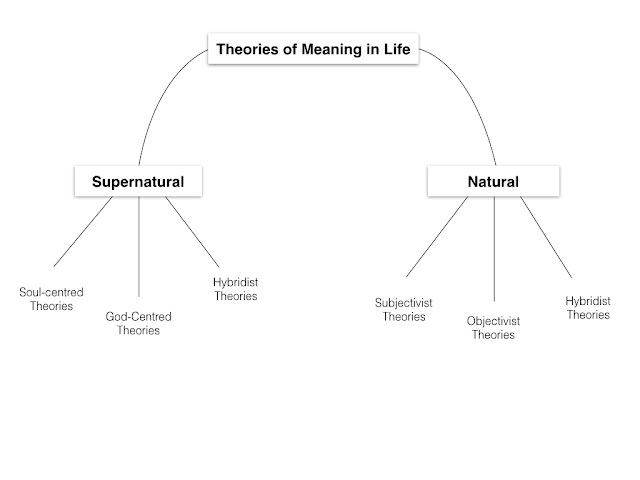 The validity of a moral theory may be constrained by certain features of our present reality. The separateness of human persons has a natural basis in the sense that humans have several natural features that constrain our person practices. First, all humans have a particular history. Access to the particulars of this history is a valuable resource for a human…Second, each human is an individual living organism: humans are physically separate from other things in ways similar to how all organisms are separate from other things. It is empirically false that humans are a ‘super organism’ like, e.g., a hive of bees or a colony of ants. Lastly, most humans are capable of rational prudence. The human ability to plan for the future allows humans not only to weather the tough times nature may throw our way, but also (possibly) to flourish. Planning for the future is one of the key evolutionary resources of our species. These natural features of humans place constraints on our person practices. The first few sections of Christie’s paper make some important points. But it’s really towards the end that the paper comes to life. After articulating his basic position, Christie tries to further justify it by imagining some very different realities to our own. 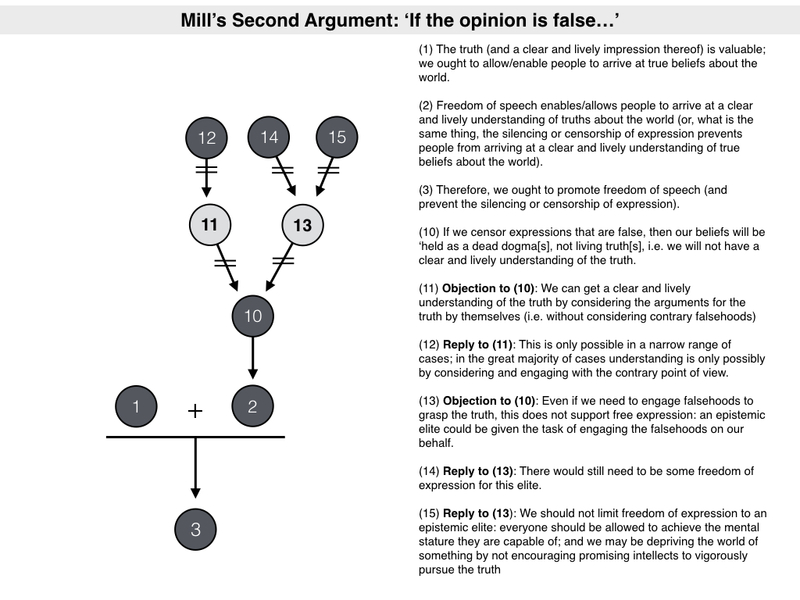 His argumentative strategy seems to be as follows: if the natural separateness of persons is morally significant (as he believes), then if you could imagine a world in which the natural separateness is no longer true, you would have to radically revise many of the moral commitments we take for granted. The fact that this radical revision would be required bolsters the idea that separateness is currently of great moral significance. In other words, Christie seems to be endorsing the following principle (though, to be clear, he never spells it out in this form). Christie’s Test for Moral Significance: If a fact X is morally significant, then a world in which not-X were true would require radical moral revision (i.e. significant change to our moral values, duties, practices etc.). I have no idea whether this test is sound. It seems superficially plausible to me, but I do wonder whether it begs the question against someone like Parfit. He might argue that morally significant facts are, in some sense, absolute and unchanging across possible worlds. So the fact of radical revision would be viewed as support for the claim that X is not morally significant. Nevertheless, and setting that to the side, the thought experiments that Christie uses to carry out his test for moral significance are what really interest me. They ask us to imagine how our moral practices would change in a world in which the natural separateness of persons no longer held true. The answer is ‘of course’. Many of our current moral practices fixate on the need for consent in cases of bodily interference, value and protect bodily integrity and privacy, and presume (or work to ensure) individual bodily autonomy. All of these commitments go out the window in the world of the mergers. You can no longer guarantee bodily integrity and privacy. You cannot always protect consent or presume autonomy. A much greater emphasis must be placed on cooperation, mutuality and compromise. When one half of a merger promises to do something for someone else, he or she must get the other half of the merger to go along with that promise. Promising is thus no longer an individual choice; it must be a social/cooperative bargain. Similarly, our practices of holding one another to account and punish wrongdoers would have to change. It would not be right to imprison or physically confine one half of a merger for former actions or deeds of the other half. All in all, in a world in which the biological separateness of persons breaks down, significant revision is indeed required to our moral code. That’s all that Christie needed to show to pass his test. Christie admits that he finds it difficult to imagine what morality would be like for such a species. Individual bodies would no longer be units of moral concern - they would be more like the cells that make up a single collective agent. The collective agent would be what matters; the cells would be just part of the support network. Also, any ideals of individual moral responsibility or accountability would seem to go out the window. It is the collective that is the moral agent and that bears responsibility. Our current practices around corporate agency and responsibility might provide some guidance as to what this would be like, but the collective is very different from a corporation. It’s not just that they share some common goal or plan, they also share phenomenological experiences of the world. Christie thinks this would require a significant revision of our moral practices, which once again suggests that our current phenomenological separateness is morally significant. I like Christie’s thought experiments. I like pushing the boundaries of our moral imaginations to consider radical possibilities. I think it is valuable to see how depended our current moral beliefs and practices may be on our current biological and social reality. It makes me wonder whether there are possible ‘ways of life’ that are morally valuable but that I just can’t appreciate now because my biological form has set limits on my imagination. That’s not, of course, what Christie was hoping I would get out of it. He was hoping that by considering these radical alternatives, I would appreciate the moral significance of my current biological form. It’s not that I don’t appreciate that; it’s just that I enjoy the imaginative exercise more. All that said, I do have some doubts about Christie’s arguments and assumptions. I noted some concerns about the ‘test’ he applies for moral significance above. Related to that, I wonder whether he might overstate the radicalness of the worlds he imagines, even the collective world. Authors like Christine Rovane, for example, have argued that the Enlightenment ideal of selfhood is consistent with corporate/collective agency: it’s not that our moral practices are radically changed, they are just targeted at a different level. 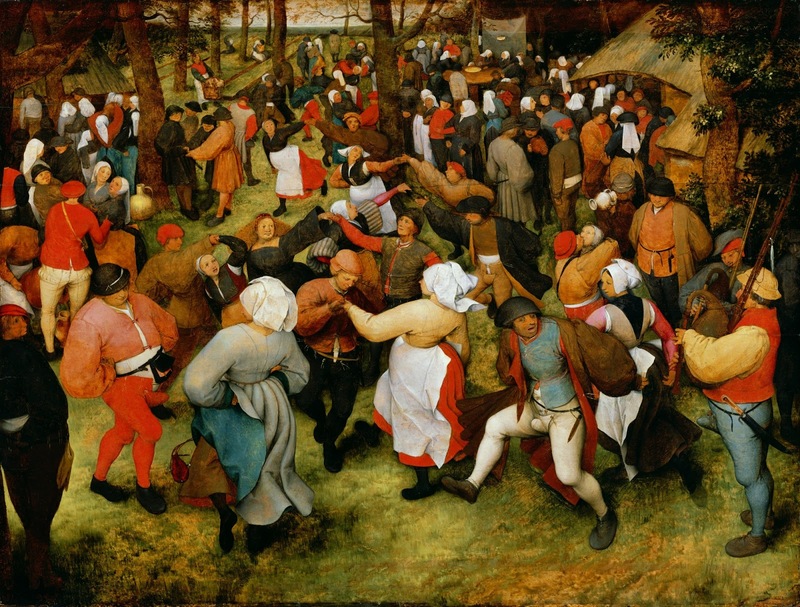 Similarly, there are long-standing cultural beliefs and practices that advocate in favour of something like the collective (and against the separateness of persons). My understanding of the Buddhist No-Self doctrine, for example, is that it denies the reality of a single phenomenological agent (possibly also a rational, deliberative agent if you follow the work of Monima Chadha) and is often associated with beliefs about the unity of reality and consciousness. So it may not be that radical an ideal for creatures like us. 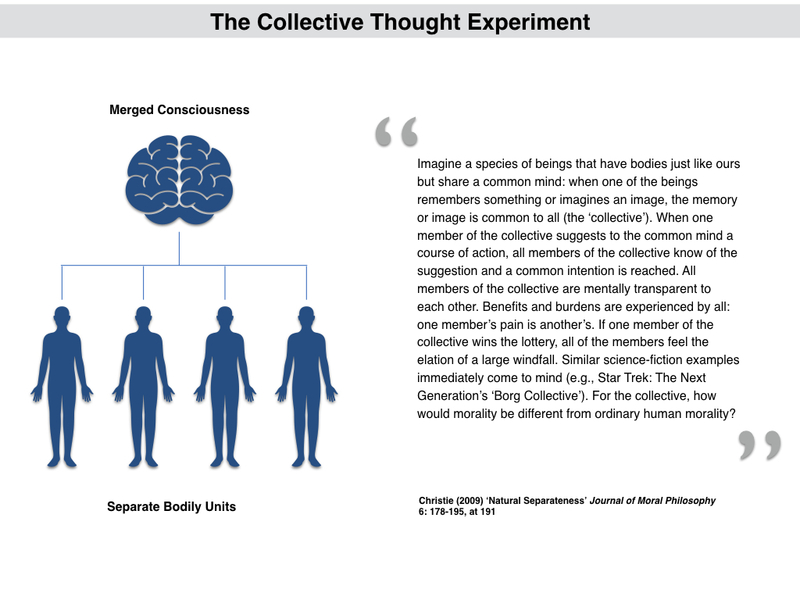 Furthermore, I do wonder whether the collective thought experiment is logically consistent in its current form. It seems like every presentation of it — including the presentation in science fictional cases like the Borg — involves some retention of individual identity (however slight). Without that retention it wouldn’t really make sense to talk about ‘collective’ thoughts or ‘shared’ experience — if there is just one single thinker or experiencer then there is no sharing. It’s this retention of individuality that makes the possibility so scary or unpleasant. If you actually abandoned it, maybe it would less scary. I guess that’s just another way of saying that we should imagine these possibilities more fully.